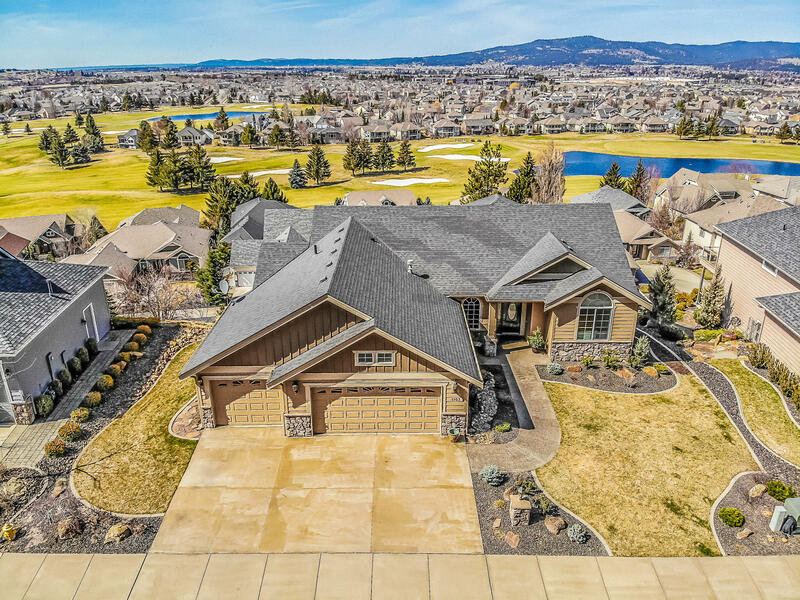 Incredible panoramic views of Liberty Lake are at your disposal with this perfectly located home in the gated estates at Meadowwood. Pride of ownership combined with the details of a Gordon Finch built home are a can't miss! Amenities include granite ctrs, dbl ovens, SS appliances, oversized Butler Pantry with abundant storage and counter space....covered deck with trex decking, large master with mud set walk in shower, dbl sinks, walk out basement and more....and you'll appreciate that every closet is a California Closet Finish! !